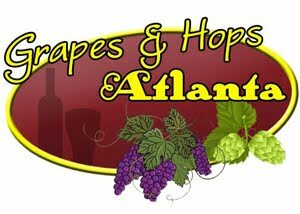 Grapes and Hops reviewed the Chozas Carrascal Winery in December 2011. 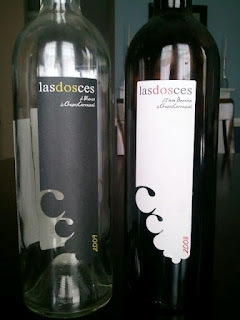 After tasting both their red & white wines, we were compelled to refresh your memory of this tasteful & delicious Spanish Wine that every wino should experience! 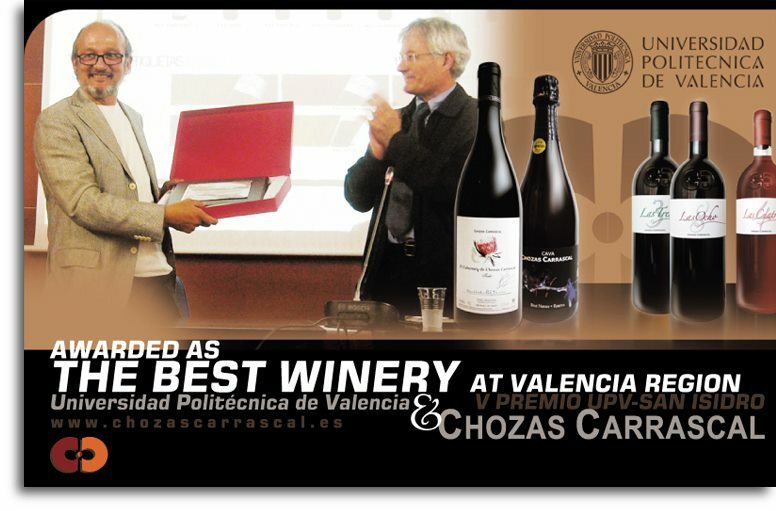 Chozas is a family winery located in the area of Valencia, Spain, being their appellation D.O. Utiel-Requena. The production of wine is not very high, as Chozas is focused on two goals: Quality and Personality. The López family decided in 1989 to embark on a truly ambitious and exciting project to produce first‐class wines of the highest calibre to be enjoyed world‐wide. During more than 15 years the López family and it's team have dedicated all of their time and efforts to restructure the old vines, preserving the old Bobal vines while planting new grape varieties including Chardonnay, Cabernet and Syrah. The philosophy of the winery has been from the very first moment, betting on the conservation of the environment. It has taken some years to achieve it, but it was worth this wait given that from 2010 vintage, all their wines are labeled as organic. 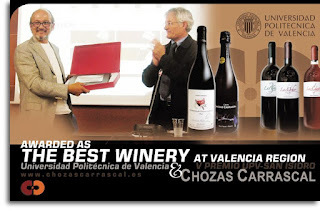 Chozas Carrascal wants to demonstrate that high quality wines can be produced while caring for the environment. The concept Chozas Winery wanted for these wines is to be "easy drinking wines", being also present the character of this area. In this sense, the red contains 80% of Bobal, grape which only grows in their area. In our vineyard, the Bobal are 80 years old. It also contains 10% Tempranillo, the best known grape in Spain, and 10% Syrah. In the case of the white, contains 11% Macabeo, a white grape which provides a very good acidity, resulting a wine with 89% Sauvignon Blanc, with the contribution and therefore distinction of the Macabeo, which is very present despite of the low percentage. Both wines are ecological, and have been scored with 88 points in Peñin Guide getting the highest distinction for "Best Value Price". We paired the Tinto Barrica with homemade vegetable paella, with tomatoes, asparagus and peas. We grilled a chiorizo crusted rack of lamb. Paired nicely with the saffron in the paella and gave our dish a nice spicy kick! Young red wine aged in oak. barrels during five months. The blending of both varieties takes place just before bottling. 80% Bobal, 10 % Tempranillo and 10% Syrah. Crianza*aged five months in French oak barrels from the Allier forest. Alcohol content: 13.5 % by vol. – 750 ml. Nose: Predominance of red fruit. Soft toasted aromas with subtle balsamic notes. underlined silky sensation of the Syrah and structure of Tempranillo. body of such a young wine. We paired el Blanco with an asian dish to experience a variety of flavors. Easily one of our favorite white wines that we have tried! at a controlled temperature of 18 °C. 89 % Sauvignon Blanc and 11% Macabeo. Alcohol content: 12.5 % by vol. – 750 ml. Appearance: Brilliant and clear straw yellow color with green highlights. of white flowers and tropical fruit. structured silky wine with a long aromatic finish in the mouth. mouth. On the nose it is very aromatic and has a long and very pleasant finish. Sounds delish! I cannot wait to try.